This Fall Fun Series post encouraged us to chat about our favorite fall scents. Well then! That surely won't be a problem for me. Prop up your feet, fluff your pillow or pour your morning cup of caffeine... here we go! Some of these have not been reviewed yet but will in due time. Stay tuned! 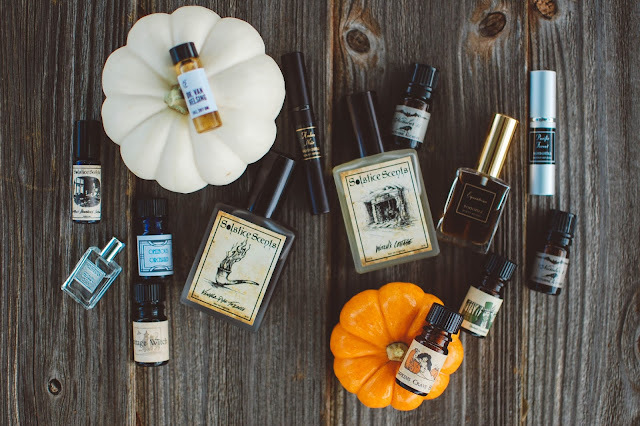 I also have some new perfumes, particularly Wylde Ivy that just arrived that will certainly move up to fall favorites that will be featured this month. I will do a recap to include any new ones that snag my heart by autumn's end. 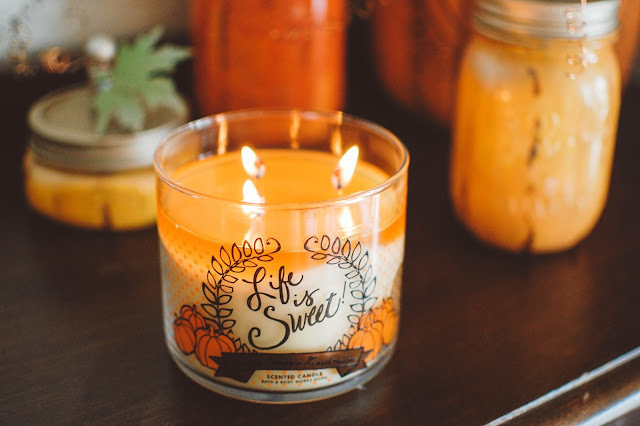 Bath & Body Works Life is Sweet (Great throw and a lovely creamy pumpkin and vanilla scent), Leaves and Pumpkin Woods from last year. All these things smell like fall and are among some of my favorite scents. What are yours? I do layer my oils and EDPs! I enjoy taking a very resinous or woody oil like NAVA's Myrrh, dinos or Santalum, my cedarwood oils and rich patchoulis and top them off with a spray of either Solstice Scents' Manor or Vanilla Pipe Tobacco, or Lutens' Vanille de Bois. I like layering from time to time. How about you? I'll definitely need to hear more about these perfumes. They all have interesting names for sure! Ugh I just love all of your fall scents descriptions. So nice and cozy. 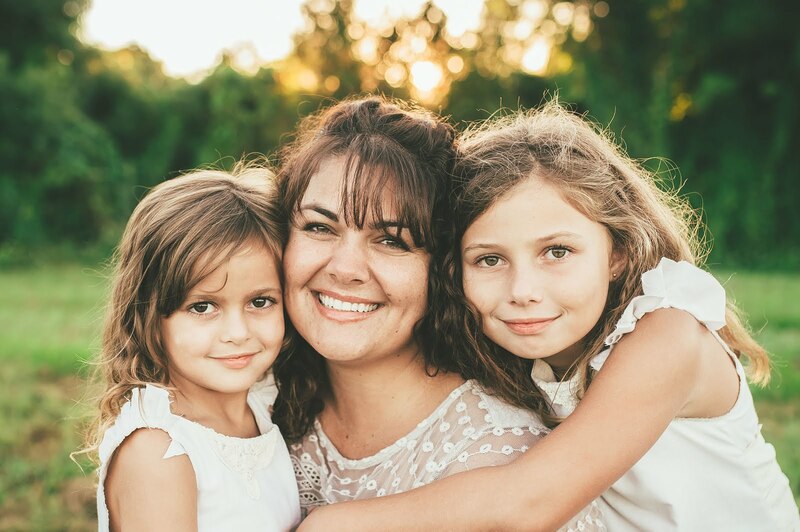 I am so ready for cool crisp breezes and the rustling of the trees. Oh, and flannel sheets!! Yaaass! 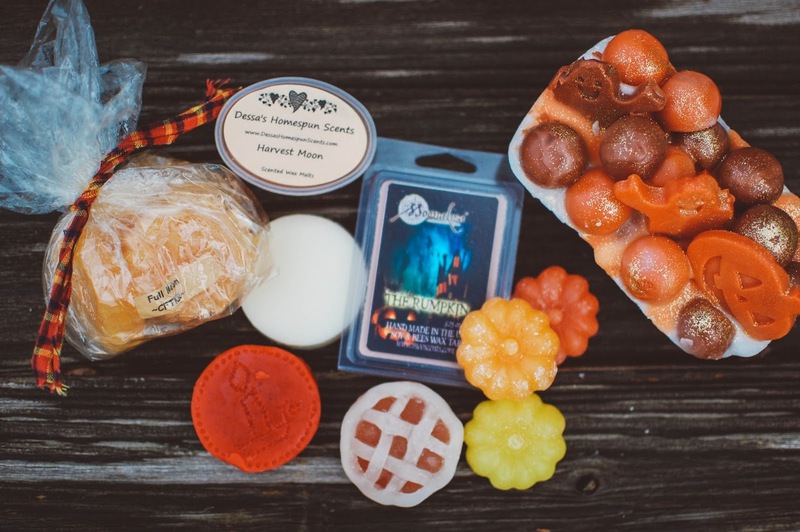 The Sonoma Svent Studio and Solstice Scents and DSH ones have been reviewed but some of the others have not. I need to get on it! Thank you for Queen Crossbones!! It smells freaking amazing plusbtge hazy grated out navy blue with ghostly marbling makes it a gem. I used up all of Yurt. :-) It was nice! I liked it a lot but Queen has my heart. I am trying to slow down a touch on soap until I use more. I had a small influx and gave about 7 bars on hand. I did grab a FP Mama Didn't Listen so I Told the Bees. Did you see how stunning it looks?! I dabbed on a Forest Witch and it was pure sapwoodans heartwood and needle juice bliss. Potent stuff. It will go well with the Conifer body oil I just bought from King's Road that you gifted me a sample of. And Britton's Cedarwood oil. I will be on my winter perfume favorites. Do you like it? Oh my gosh Jean. I should never use my phone again. Please forgive me. * plus the hazy greyed out* *have about 7 bars* good grief. I am a mess. I am having technical issues also today, my reply was just swallowed, boo! Mama didn't Listen looks sooo good. I love Forest Witch also, I usually apply oils lightly but will not hold back with this one. I just returned from a short trip to New Mexico, where pinon pine and junipers grow everywhere and would stop and sniff when I got close to them. New Mexico?! How cool!! Business or pleasure? I am hoping pleasure. <3 I think you are right... this is a slathering scent FIR sure. I may layer it with Filthy Viking just to be contrary. It was a small family reunion, my uncle lives near Santa Fe and I went with aunts and uncles out there for a few days. Very different from anywhere I have ever lived. I bet! I remember going out to Vegas a couple times to visit my friend who was in the Air Force and staying with her on base and way off the strip. It was such a strange land for me with the oven-like dry heat and the brown ground everywhere and lack of grass and greenery. Even just seeing the strange differences like the A/C units on the roof instead of the ground and such were new for me. One thing I want to do so badly is visit the Grand Canyon one day. Santa Fe would be cool to visit too. Fall is a relative term around here. It never really happens. Sure, it gets a little chilly in the morning, but by afternoon its back up to 80 or 90+. Winter happens eventually, but even then only for a short while. So what most people would consider Fall scents, I usually have to wait until Winter to appreciate. That being said, I think of Cabochard, Coco, Ormonde Woman, Idole, Dolce Vita,Noir de Noir,Lyric, Tea for Two, Mitsouko,Coromandel, Addict,Diorling. Dioressence and a Gucci something that comes in a square bottle as things I get out in the season most people think of as Fall. 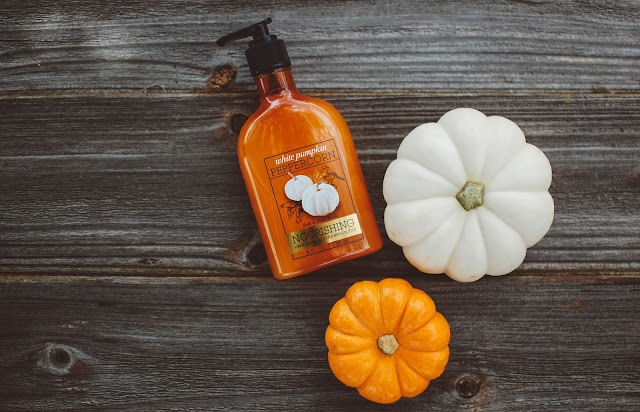 I know I've left out many things, including all the lotions, but time is short, and so is Fall. Hope yours goes well for you. I understand that weather related feeling. It is relative here too but I suppose it is anywhere that isn't a temperate climate. You have a stunning collection of niche fall scents going on there! Tea for Two I hear is lovely and Coromandel is what I am eyeing for my NYC souvenir. A friend gifted me a sample of it and oh my goodness is it a stunning scent. Are you talking about Gucci Guilty? I was thinking of adding some of my Lutens to the pile but I wear them all the time so hard for me to pin them down as seasonal sometimes but Fille en Aiguilles will be worn A LOT over the next few months. Coromandel is a good choice for your New York adventure.Since you are going to be in NY, you might want to drop by Aedes de Venustas, who stock Serge Lutens. There you can compare Coromandel to it's cousin (of sorts) Borneo 1834. They are very similar, as they were created by the same perfumer. I prefer Borneo, but since I wear it year round, I didn't list it. Borneo does wonderful things with cocoa powder and patchouli.... I probably should have added La Myrrh to the list, but like Borneo, I wear it year round. I think it was later withdrawn and reissued as a different version of itself,Theres also a Gucci Eau de Parfum II out there.The original one and the one I have is a light brown colour, as opposed to the pink of the later versions. The bottle is square with a flat round cap. It also weighs a ton. It's totally Gucci's fault for the confusion as they keep issuing new fragrances with the same or virtually the same name. Anyway, it was a wonderful fragrance that is sadly forgotten. I got a Lutens bell jar last time at Barney's so I figured I would go for something a little different this time. Aedes is a place I want to check out if we have time. I sampled Borneo 1834 years and years ago but it didn't stick with me. I think the chocolate and patch was too strange for me then just dipping my toes into niche but I should revisit it now and see if my tastes have changed, as I am sure they have. Ooh, those cinnamon sugared nuts (I always go for the cashews) at Disney (and Universal) - ugh, so good. I love seeing that Lasting Scent loaf out, too - it's so adorable. I've had my clamshell of The Rumpkin waiting for the Fall, too - my last Moonalisa tart, actually. I still love the label on that one, it's so pretty. They really are delectable little treats. And they reel you in by the nose from a mile away. I think The Rumpkin is one of the last few I have on hand. Two more are winter scents and I am so bummed they closed up the MooScents shop. So bummed. Lasting Scent Candles Spooky Apparitions still intact in all it's festive glory, when are you cutting into that sucker? I always take note of your Soltice Scents for my someday order. I actually perused the fall opening Friday, but lost my nerve, still unsure about ordering (what scents/sizes). Putting it off again for now. But roasted chestnuts in NYC sound incredible. That CFTKR Full Moon sounds truly lovely, does Carol take requests, maybe it will make a comeback? P.S. If you ever see Lasting Scent Candles' Spunky Monkey Bread in loaf form, kindly let me know! It was!!! Right after I took the photos it hit the cutting board and is now resting in a bag in pieces. Ready to melt. It can be a bit overwhelming ordering from new perfume houses. If it was me going back in for the first time I would buy a sampler and test out a few scents. Her stock is good about not selling out and it it does she will usually do at least one restock. That is how my sister fell down the SS rabbit hole. She bought about 10 samples and then went back for full roll-on bottles of the ones she liked most. My hard decision is whether to buy the oil or the EDP. Usually I save the EDPs for samples I was head over heels for and the oils for ones I liked a lot but weren't offered as EDPs or it wasn't in the budget. Carol is awesome about taking requests and pretty much makes anything someone asks for but this oil was discontinued. :-( I will happily look for Spunky Monkey Bread for you! Is it a good one?? Thanks for the helpful info on SS! Spunky Monkey bread is the most decadent peachy spiced bakery and I fell in love with it. Mmmm... then I will keep my eyes out for it for us.